The engineering firm will relocate from its current headquarters at 1750 Tysons Blvd. to the 20-story Boro Tower. The building is part of The Boro development, a multiphase project next to the Greensboro Metro stop. Other big-name tenants are moving in as well. 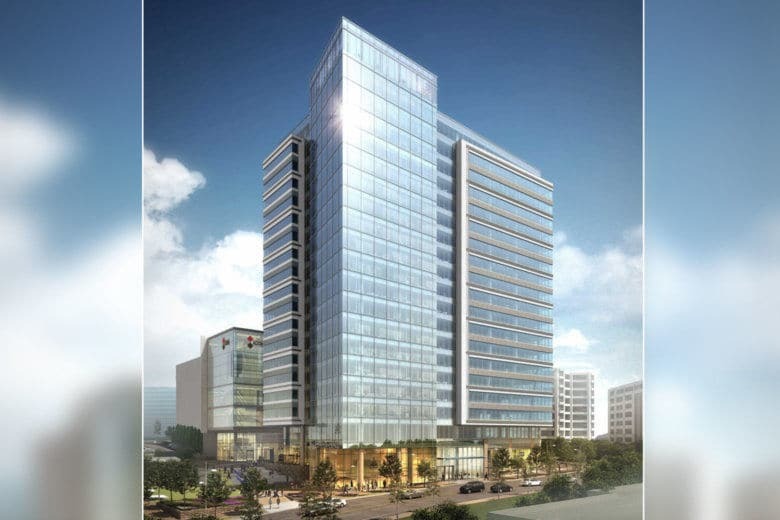 WASHINGTON — With Boro Tower, the newest office high-rise in Tysons Corner, set to officially open in February, big engineering firm Alion Science and Technology has signed on as its newest tenant. Alion will relocate from its current headquarters at 1750 Tysons Blvd. to the 20-story Boro Tower. The building is part of The Meridian Group and Rockefeller Group’s The Boro development, a multiphase project next to the Greensboro Metro stop. Alion will take 14,000 square feet at Boro Tower, bringing the 437,000-square-foot building to 70 percent leased. Alion did not say how many employees would relocate to its new headquarters. It has about 2,600 employees worldwide. The Boro’s largest tenant will be tax and audit advisory firm KPMG LLP, which is bringing almost 1,900 headquarters employees to 168,000 square feet. Other big tenants are law firm Hogan Lovells, leasing the building’s 16th and 17th floors. Law firm Womble Bond Dickinson will take the building’s entire 15th floor. And Tegna, the broadcasting company created when Gannett split in two three years ago, will take two floors. The entire 15-acre development will include residential units, 350,000 square feet of retail, a hotel, a Whole Foods Market and a 14-screen ShowPlace ICON theater. Several restaurants have also signed on to the development.